After five inspiring and challenging years, we will be concluding the Maker VISTA program in Fall 2018. To celebrate the impact of this work, we’ve asked our amazing Maker VISTA members to reflect on their experiences and accomplishments this past school year. Each of our VISTA members, working at various partner sites nationwide, came to this program with different perspectives, and focused on different projects—yet they all remain connected by a commitment to service and community. 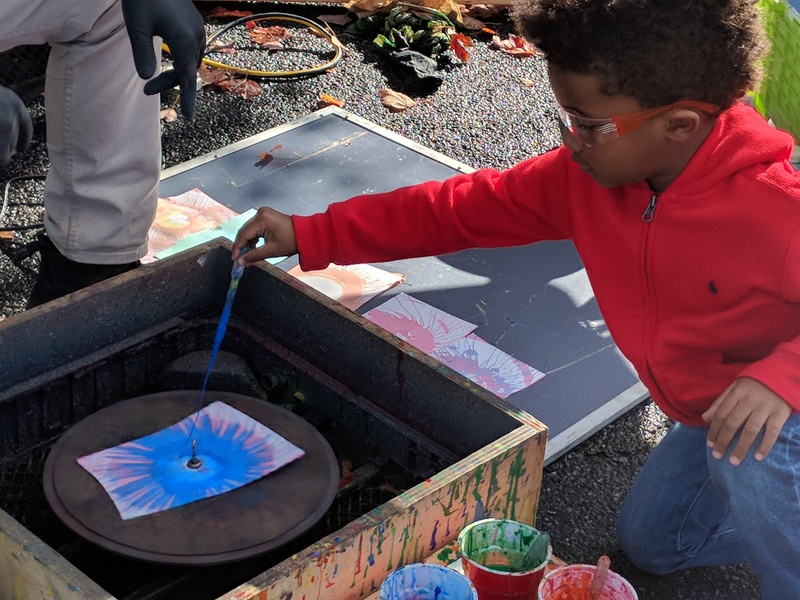 In this post, Jamera Jones, a VISTA member who recently completed her year serving at STE(A)M Truck in Atlanta, GA, shares more about how she and the youth and educators she served, have been affected by maker-centered learning and capacity building. For the past six months of my service year, one of the main projects I have focused on has been developing a structured inventory system for STE(A)M Truck. As a mobile makerspace, the STE(A)M Truck program has an overwhelming volume of assets and consumable materials in storage across multiple vehicles and shipping containers. Each week, an average of 12–15 programs occur across multiple partner sites. A program can be comprised of 4 or 5 unique builds, each of which requires a distinct set of materials, equipment, and consumables to be loaded onto the appropriate vehicle. As programs progress, these consumable goods are depleted, and accurate inventory is critical to ensure youth are adequately served at each program. Prior to my work with this project, STE(A)M Truck had no formal system for tracking and inventorying the consumption of materials and the location of those materials and durable goods. With well over 10,000 assets in possession, implementing such a system has been no small feat. In collaboration with Executive Director Jason Martin and Tinkerer in Residence Andrew Zamon, we have worked to facilitate the customization process for Asset Panda, a cloud-based software that allow users to specialize the system directly for their inventory set up needs aiding staff in tracking the location and status of assets and consumable goods. Co-developing an inventory system from scratch has been challenging, to say the least. It involves developing and acting from a shared understanding on how the system should be created and used, and that shared understanding evolves as our work with the project deepens. By taking the time and extra attention to meet about how things get done, along with meeting to get things done, plus keeping our collaborative team passionate and engaged, we have been able to make these things happen. Some of our accomplishments included: conducting beta testing on STE(A)M Truck sites and connecting with support staff at Asset Panda directly to offer feedback on the customized platform. I also worked closely with my coworker Andy in implementing a labeling system on site to merge the digital and physical worlds: now each item is located on a labeled shelf in a specific location to make the system easy to use for everyone. Once everything is input, the next steps are to train staff on how to properly use the system. This would include how to check in and out inventory supplies, how to flag supplies that need to be restocked, how to input new supplies, etc. Even though this project has been a long journey, I am excited for what it can become and how helpful it will be to STE(A)M Truck’s planning for and execution of programming and many other events. This inventory system will make making much easier for everyone the organization serves!